Do not have the time to manually submit and verify all your business locations on Google My Business so all your business locations appear on Google Maps? 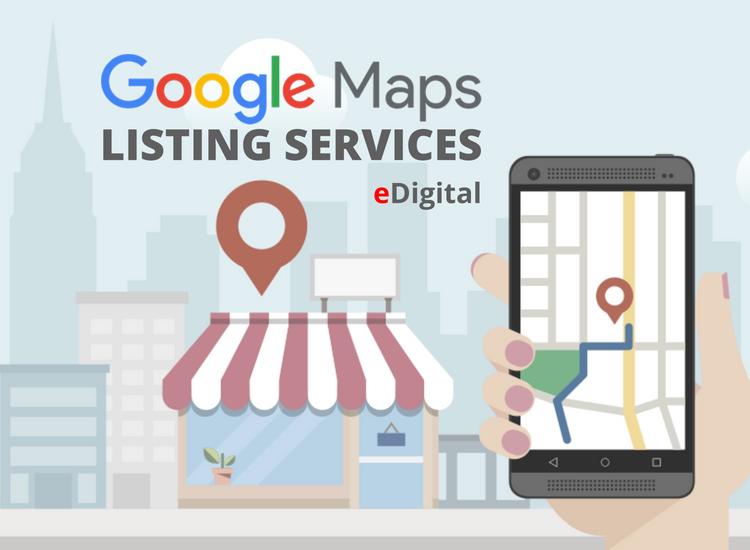 eDigital can help you create, submit and get all your business locations verified and approved by Google! Whether you are a one store business owner only or a multi store chain or franchise group, we can make sure your business is properly and successfully listed on Google My Business and Google Maps. Gather all your key company information for your new listing. Clients who have more than 10 locations we use our carefully crafted Google My Business Attributes sheet so we can upload all your business locations information in bulk. Our sheet allows to choose from 3750 business categories for each location and add up to 91 business attributes Google offers for each listing. Selection of the most optimal business category for your listing. Optimal submission of your opening hours. Optimal submission of your top product items listed (up to 2). Official Google Listing verification. Google will verify your listing by calling your business phone number (automated call – faster way) or by sending a postcard to your business postal address with a verification code (slow process – takes up to 4 weeks). Logo resize to comply with Google specifications for your Google listing profile image. 250 x 250 pixels. Up to two videos videos upload to your new listing. We can take the videos from your fb page or you can send the videos to us. Up to two photos photos upload to your new listing. We can take the videos from your fb page or you can send the videos to us. Relevant links to key pages of your website. Example: if you are a restaurant Google provides a section to link to your menu page or ordering page. If you are using Google Suite for your business email we can link your email to your new listing so you can start manage your new Google My Business listing straight away or we can create a gmail account for your local business and then link it to your new Google My business listing. 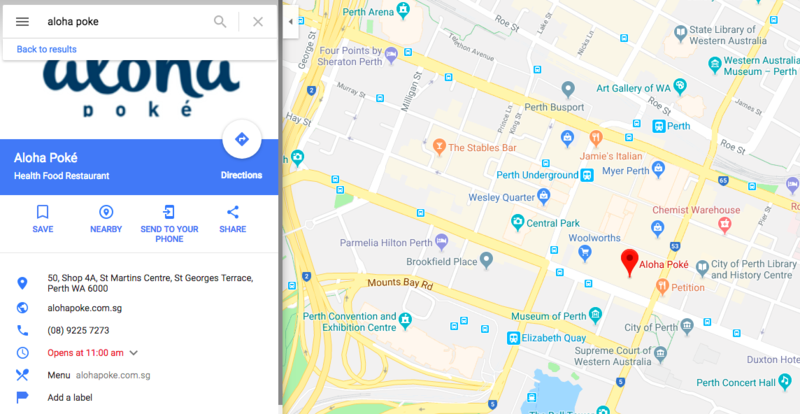 Once your Google My Business listing is appearing on Google Maps, the general public using Google will be able to write a review of your business, ask you a question (via your new listing) or upload “user generated content” such as photos and videos related to your business. You can now feature amazing 360 photography of your store, office, hotel lobby or restaurant on Google Maps. Hire one of our best Google 360 Photographers today! Not everyone uses Google Maps. Australians using iphones also use Apple Maps to find local services and products. Make it easy for these Apple Maps users to find your business with our Apple Maps listing services and do not keep missing extra sales. Contact us today to find out more. As the first Aloha Poké health food store to be launched in Australia, Aloha Poké team wanted to ensure all key store contact details, product info, videos and images were appearing when people where searching on Google Maps. 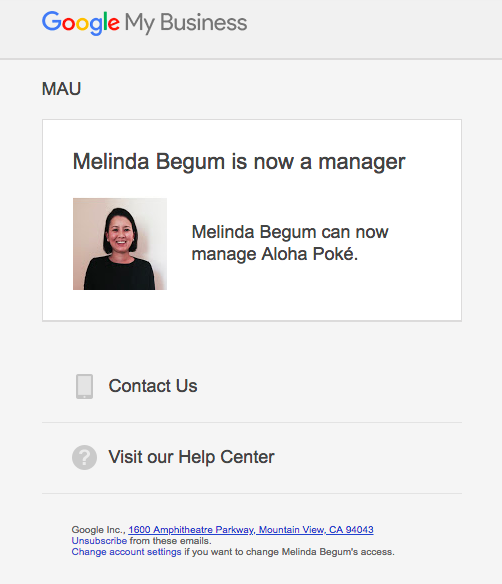 eDigital provided all the support to ensure Aloha Poké was listed successfully on Google Maps!